CrossFit is a high-intensity workout that incorporate strength work like weightlifting with aerobic fitness, including running! Each of these types of exercises requires a different type of shoe. Some cross-fitters switch shoes between weights and running – but if you don’t want to invest in multiple pairs of shoes – and don’t want to switch mid-workout – the right type of running shoe can work well for both weights and running. In this article, we’ll explore the best running shoes for doing cross-fit. But first, let’s go over what to look for when shopping for a cross-fit running shoe. The most important element is the drop. The drop is the measurement of the difference between the height of the heel and the height of the forefoot. Running shoes that are good for CrossFit should have a low drop, somewhere between 4 mm and zero. While your standard running shoe has a 10-12 mm drop. This minimal drop helps to promote a more natural foot position while distributing your weight evenly across your feet. It’s also recommended to perform deadlifts in shoes that are flat like zero drop shoes. 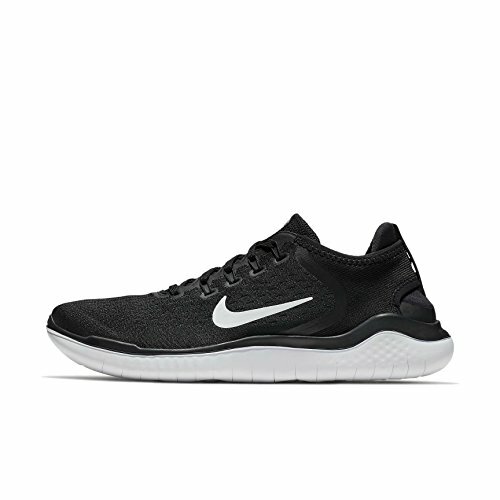 Good running shoes for CrossFit should also be fairly minimal. This means less cushioning, but a much lighter shoe. This helps keep you nimble when doing box jumps and other agility exercises. The shoe should have some cushioning to protect your feet while you run, but not so much that it’s overly heavy. It’s also important that you have a shoe that’s durable with good traction on the sole. A secure fit in the upper will also keep you locked in and secure. 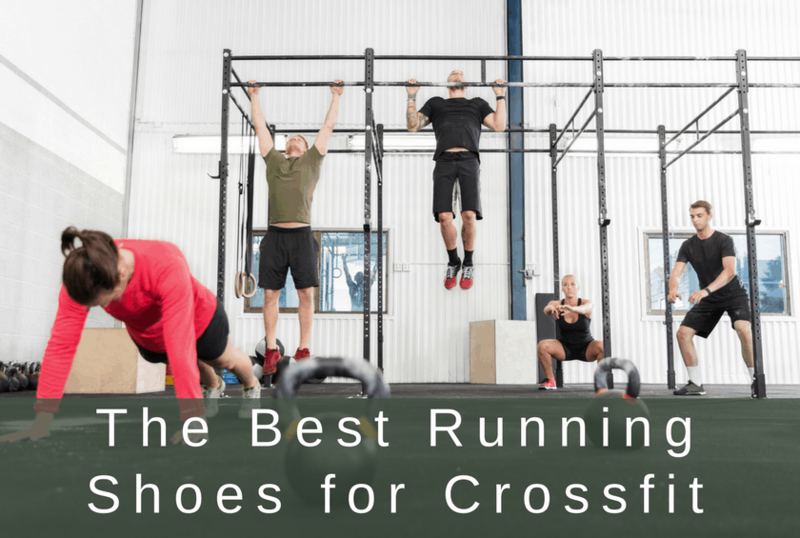 Read on to see which running shoes specifically are excellent choices for CrossFit. We have listed ten different shoes that each provide different levels of support, comfort, breathability, and durability. These lightweight shoes have great traction, cushioning, and comfort with a zero-drop platform. The knit-style mesh upper provides a great fit with nice style. The Altra Escalante 1.5 running shoes conform to your feet and allow your toes to naturally spread as if you were barefoot. They also offer durability and good cushioning. The Escalantes feature EGO foam – a tough foam that provides a responsive bounce while running. And even though it’s lightweight looks minimal, the EGO foam provides a nice level of cushioning. The Saucony Kinvara 9 is the latest in Kinvara running line. Its extremely lightweight design enables easy movements, while Everun technology in the midsole provides soft cushioning and added durability. The running shoe provides a tighter—but comfortable—fit to give greater support. The elastic design of the tongue ensures just the right fit, while the heel cup allows for a snug feel around the ankle. The 4 mm drop provides a natural running feel and is low enough for CrossFit activities. The rubber sole is made to be durable and solid. Its coupled with woven heel support for the perfect fit. The Saucony Kinvara 9 has focused its innovation on a more structured heel and midfoot, while the forefoot is more flexible. 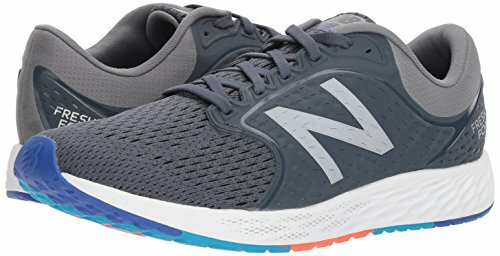 The New Balance Zante v4 offers a sleek profile with a lightweight, cushioned shoe. The upper is designed to be breathable, making them ideal for summer workouts outside. This cushioned running shoe is made to fit snug, which is good for stability and comfort. The midsole features the fresh foam cushioning for a soft, responsive ride. The shoe has a measured 6 mm drop and boasts engineered mesh. It also utilizes HypoSkin that is made to adapt to the shape of the foot, promoting natural and flexible movement for any user. The solid rubber sole is durable and can be used on any surface or terrain. Designed with a light and sleek, seamless upper, the Mizuno Sonic is built for fast runs. Its “sock-like” construction makes the shoe fit like a glove. The flexible design allows for natural movement. The shoe has minimal cushioning but this aids in its lightweight design. Mizuno’s wave plate in the midsole creates a smooth landing and provides excellent heel to toe transition. The low 4 mm is great for both running and CrossFit. 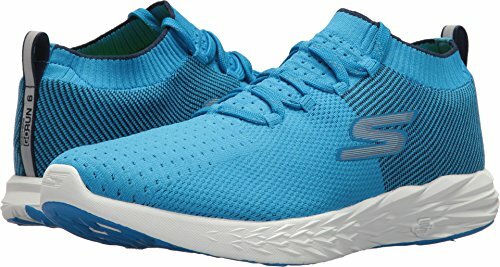 This running shoe is one that promotes natural running and boosts running and exercise efficiency that will transfer nicely to other activities and types of movement. The Nike Free RN 2018 running shoes have an adaptive upper and feature a flexible sole that promotes a natural feel. The lightweight cushioning is very flexible and responsive, made to withstand outdoor running. This shoe is made to hug your foot and adapt to your shape. Its tongue is lightly padded for comfort, and the collar is stretchy and supportive, making it great for all sorts of movement. The wide toebox fits a variety of feet. This durable shoe can be tough enough to handle any CrossFit challenge while still offering support through midsole cushioning and rounded heel. 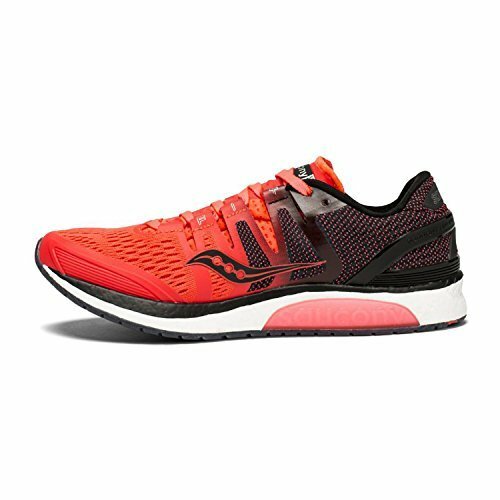 The Saucony Liberty ISO running shoes are designed to give a responsive run with just the right amount of support. Made for all distances and lengths, the shoe features a springy Everun midsole to give you support and protection during longer workouts. Everun foam is incredibly durable and provides a springy, bouncy ride. It also maintains its cushioning in extreme temperatures. This running shoe gives its user maximum comfort with its secure midfoot lockdown. It is known to handle a variety of training, which is just what you want in a CrossFit shoe. This 4 mm drop shoe gives the wearer a little bit of extra snap when it comes time to vamp up the workout intensity. The Altra Torin 3.5 is ideal for use in running, fitness, and CrossFit training. Its high level of cushion makes it extremely comfortable through any and all activities. Its lightweight design is great for high levels of movement and fast-paced workouts. The shape and make of this running shoe is meant to improve natural footing position, toe splay, and comfort. Its cushioned, zero drop structure is great for CrossFit and any physical activity the workout throws at you. Your feet stay flat on the ground – great for jumping and lifts. But the shoe has enough cushioning for workouts with lots of running. New in version 3.5 are two different types of uppers. The mesh option is incredibly breathable with a locked-in midfoot and heel. The new knit upper – which costs a tad more – offers a great look and soft, plush upper. The tongue is uniquely secured in the upper for a snug fit. Skechers GORun 6 are made from breathable knit compression with a nearly seamless upper. This design gives its wearer a snug and supportive fit that promotes natural movement. Light in weight but well-cushioned, runners will be comfortable through their runs and workouts. The mid-foot strike zone is meant to promote efficiency, so no step is wasted. While you’re powering through your CrossFit workout, you’ll be happy to know that you can have confidence in the durable parametric web outsole. This outsole has excellent traction that is effective on a variety of surfaces. The molded heel counter is great for stability and a secure fit. Throughout every type of workout, this shoe will give active users high quality impact protection with its shock-absorbing technology. 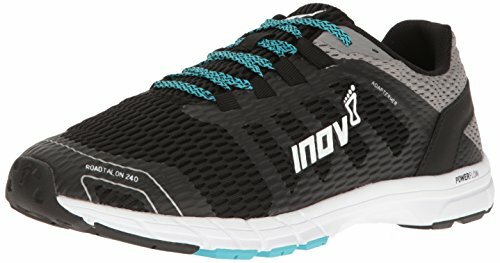 A lightweight and responsive running shoe, the Inov-8 Roadtalon 240 was created to give physically active individuals a smooth ride. The shoes’ specially made grip provides the best traction for all terrains, making it an ideal shoe for CrossFit. Grip and traction are also specifically designed to conquer obstacles such as rain and wet roads. Even in damp weather, runners will feel safe and secure without worrying about slipping or injuries. The shoe’s cushioning gives every runner the comfort they need during both short and long distance runs. It is also great for high-impact workouts that come into play during CrossFitters. The Inov-8 Roadtalon 240 has a 4 mm drop, which is on the lower end and is good for stability during runs and workouts. The breathable material makes this shoe good for long workouts and distance throughout the warmer months, keeping your feet cool and not overheated. 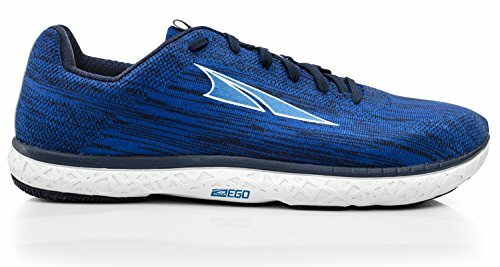 Brooks Pureflow 7 running shoes are great for runners and active individuals who want a low-drop, lightweight running shoe. Made with soft cushioning, the midsole design adapts to each individual’s stride to provide excellent support and comfort. This lightweight shoe will help you feel agile and fast. This shoe is not only comfortable and supportive, but it is breathable. The stretch-woven fabric gives users ventilated coverage that’s also unrestrictive. This technology keeps the foot dry during runs while at the same time hugs the foot for a secure fit. This affordable shoe is loved for its functionality as well as its look.